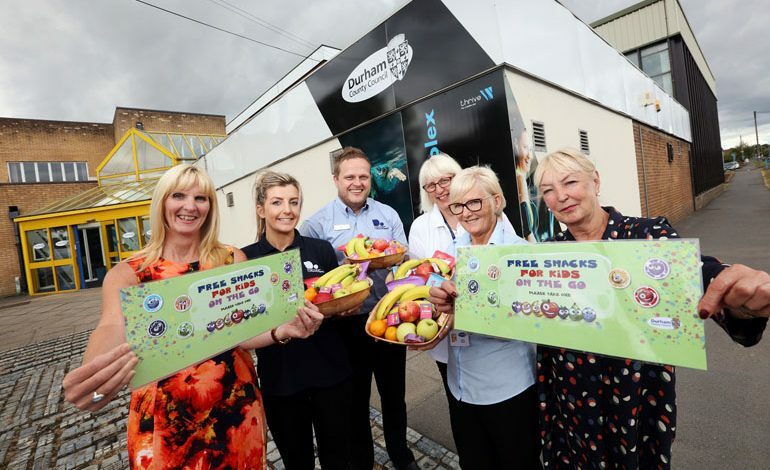 Bananas, satsumas, popcorn and raisins will be among the nutritious treats on offer to youngsters at Durham County Council venues throughout the six-week holidays from Monday 23 July. This includes selected council leisure centres, along with libraries and community libraries across the county. Cllr Olwyn Gunn, Cabinet member for children and young people, said: “The summer holidays should be a time for fun and adventure and it’s so important that all children are able to enjoy it to the full. By offering free, energy boosting snacks we can help keep youngsters going when they are out and about. The leisure centres taking part in the scheme are Woodhouse Close in Bishop Auckland, Freemans Quay in Durham, Spennymoor, Newton Aycliffe, Chester-le-Street, Teesdale, Consett, the Louisa Centre in Stanley and Peterlee. Snacks will be on offer every day during the venue’s opening hours.